1) Buying wrong Life insurance policy: Anything but Term insurance is not suitable for most of us. Remember: It is an Insurance, not an Investment. If you do buy anything other than the Term policy, your money is working for the agent and the company..not for you. 2) Hiring wrong Financial Advisor: The Big Financial advisory firms such as Goldman, Merrill, Credit Suisse and other prestigious ones are the Worst. Even the firms like Fidelity and Schwab that are portrayed as Customer Friendly are bad. 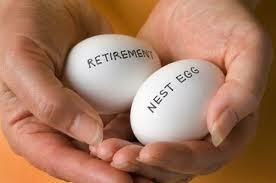 Your best bet is to work with a Fee based Independent Financial Advisor. 4) Performance Chasing or Trying to time the markets: Everybody becomes overconfident when it comes to Investing. We think we can Buy Low and Sell High every time. We get in and out of Funds, chasing the recent performers. Even the best Money Managers can’t time the markets, so forget about it. 5) Creating and maintaining Bad Debt: I don’t have to mention much here, you all know better than me. We live in a nation that almost defaulted, how can we blame an individual? Latest I heard is that our dear Postal Service is next in line, let’s continue the Noble Cause of Charity! Sorry, I got sidetracked. I’m concerned with the personal debt only at this point. I have been there, done that but I’m glad I got out just in time. This addiction is worse than the Trading! Don’t let yourself be the slave to all kinds of Debt: credit cards, house and car payments, educational loans..the list goes on!! If we analyze the collective damage of above Top Five Money Leaks and give it another 5-30 years (true for most of us), we have significantly reduced our nest egg. It has shrunk to anywhere from one third to one fourth of what we would have achieved instead, had we been disciplined and stopped all the money leaks in the first place. In other words, we’re left with $250K if our goal was to have a million by the retirement age. It is never too late to get our financial house back in order. Let’s focus and fix these five areas, we’re bound to end up Richer!! This entry was posted in Get Rich and tagged financial advisor, financial mistakes, financial plan, money management, Wealth on September 7, 2011 by admin. Good summary of the top five leaks, easy to remember and follow. Thanks Prashant. Yes, the idea is to keep it simple and easy to implement as the finance topics can be complicated, dry and boring. agree … any pointers / suggestions on 2.
http://www.napfa.org/ is a good website to find a list of Fee only advisers. You can get more info by clicking on “helpful links”. I’ll cover each topic in detail in my future posts and we can have further discussion on the same. Thanks for your honest feedback Sidney. You’re right, the finance/investment matters do seem complicated at first but with continuous learning..they become much easier. I suggest that you read all the posts under “Get Rich” category, I have simplified things as much as they can be. It is a vast subject indeed, will be writing more on the same as we go along.